Kitchen Cabinets and Granite Countertops, Pompano Beach FL > Blog > Blog > Do I Need A Designer For My Kitchen Remodel & How Much Do Kitchen Designers Cost? Do I Need A Designer For My Kitchen Remodel & How Much Do Kitchen Designers Cost? 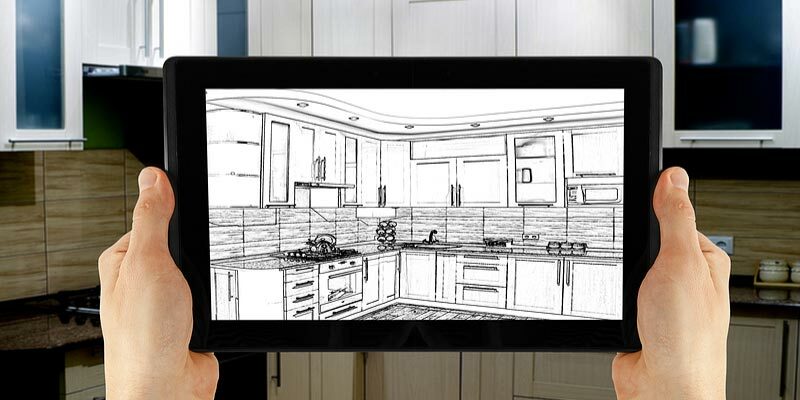 Kitchen designers have access to planning tools and advanced technology that can benefit major or minor kitchen renovations in many ways. Plus, a good kitchen designer can offer valuable insights to help you save money and hassles. That being said, a designer is going to cost money, and sometimes a lot of money. If you’re working on a tight budget, the benefits of working with a kitchen designer may not pan out. -You have some wiggle room in your budget. -You have a lot of wants/needs/ideas but no real game plan for how to make them happen. -You don’t need an architect, or you can afford both an architect and a designer. -You’re limited on time in regards to designing your own kitchen. -Your remodel budget is tight. -You love DIY-style projects and have a great eye for style and design. -You enjoy bargain hunting and don’t mind doing research and putting in the footwork. Can I Afford A Kitchen Designer? 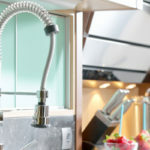 Smaller kitchen renovations with budgets totaling less than $10,000 may not work out after penciling in the costs of a kitchen designer. When you’re on a tight budget you want to put every last available penny into materials and labor. Designers often have a starting fee of $3,000 or so, which takes a big chunk of money out of your budget. This could prevent you from installing new cabinets, or something else paramount to your remodel. As a result, you’ve paid a designer all of this money and they can’t even do much because of budget constraints. If you still really want a kitchen designer, consider hiring someone that offers a la carte services as opposed to full service design. 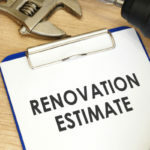 This will save you money, and while you won’t get as much hands-on help, you can make the most of their services without making too big a dent in your remodel budget. There are different types of kitchen designers and all charge different prices and offer slightly different services. Some designers work independently or at an hour rate per project. Other design companies charge flat rates for X amount of services or time. Independent designers offer some of the best insight in regards to certain brands or materials because they are not affiliated with one particular store or brand. Do your research to find the best designer for your needs and budget. What About An Architect For Your Kitchen Remodel? If you have some extra money to hire a designer, you might want to instead consider hiring an architect. 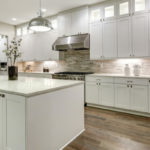 If your kitchen renovation is rather extensive, say for instance it involves knocking down walls or moving appliances around, you may need to hire an architect to get the job done right and to all local building codes. Architects are trained in design theory, engineering and project management, so in most cases they bring more to the table than a designer. They understand building codes and can keep your renovations in compliance with all regulations. Some architects offer project management services as well. The added expertise and services provided by an architect comes at an additional cost though. No matter if your kitchen renovation entails big time improvements or slight changes, you’ll go over your wants, needs and budget with your kitchen designer. Designers can offer great insights when it comes to cutting the right corners and remodeling on a budget. While they can’t make magic happen, they can better cater their designs to your needs if you’re completely up front about your budget from the get-go. Prior to hiring just anyone for the job, make sure that you see plenty of pictures showcasing their previous work. Ask if you can speak with previous clients to hear how their experiences went. Are you still concerned how you’ll afford a kitchen designer but really want one? Buying wholesale kitchen cabinets and countertops can save you thousands of dollars, affording you room in your budget to hire a designer. In doing so, you sacrifice nothing in terms of quality while skipping out on the costly surcharge applied by retail shops. 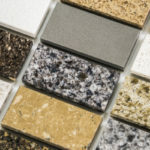 Tops Kitchen Cabinet offers the latest granite countertops in many color variations, as well as a wide variety of top quality cabinets, all at wholesale prices you’re sure to love.